The viewers, who are fond of the cute chemistry between Vikram (Apurva Agnihotri) and Shobha (Sonali Bendre) in Life OK show Ajeeb Dastaan Hai Yeh (Balaji Telefilms), we bring some exclusive news for them. Like every other show, problems are bound to hit on the way of the lovers and this project is no exception. As Vikram and Shobha are getting close to each other, Sarika (Vivana Singh) is leaving no stones unturned to harm Shobha. And if this was not enough, to add some more drama, Samarth (Harsh Chhaya) will be seen returning from the jail in the upcoming episodes. Our source revealed to us, “Samarth will come to Shobha’s home when the entire family will be busy celebrating her birthday. Everyone will be shocked to see Samarth and will pay no attention to him. Our source also confirmed that Vikram will get tensed while seeing Samarth and will be scared about his future with Shobha. In this situation Vikram’s Naani will be seen consoling Vikram. The question remains what will happen to Vikram and Shobha’s relationship? Will love conquer all? We tried reaching actor Vivana Singh for a comment but she remained unavailable. Life OK show Ajeeb Dastaan Hai Yeh (Balaji Telefilms) has already won the heart of audiences with the cute love encounter between Shobha (Sonali Bendre) and Vikram (Apurva Agnihotri). And now, what we hear is that the cute love story is going to reach the next level. Our source revealed to us that in the upcoming episodes Vikram (Apurva Agnihotri) will confess his love to Shobha and will try to take their relationship to the next level. But wait. Readers if you are thinking that everything is going to sort out between the two and they are going to live happily ever after, then we are sorry to disappoint you. Our source also mentioned, “Though Vikram will try to confess his love to Shobha, he will finally not be able to propose as he will be more concerned about Shobha’s health. Moreover Jiya (Shobha’s daughter) will be saved from an accident by Sarika (Vivana Singh), which was originally planned by Sarika herself and Vikram will be blamed for the incident”. While saving Jiya, Sarika will hurt herself. And she will leave no stone unturned to get Vikram back in her life, added the source. We tried to reach actress Vivana Singh but she remained unavailable for a comment. We will keep our readers updated with more news. Actress Kajal Pisal will now be part of the Balaji Telefilms family again, after her stint in Bade Achhe Lagte Hain. She has been roped in for their Life OK show, Ajeeb Dastaan Hai Yeh. Kajal will play the role of Avni, a sweet and positive girl who will be spotted by Shobha (Sonali Bendre) at a family function. Shobha will immediately be impressed with Avni’s simplicity and beauty, and will harbour thoughts of getting her married to her best friend Vikram (Apurva Agnihotri). The track ahead will revolve around Shobha’s efforts in grooming Avni to be the life partner of Vikram. Will Shobha be successful in getting Vikram hooked to Avni? Behna Hain and many other episodics, has started shooting for the above show. Attempt to murder seems to be the flavour of the month for Life OK shows. 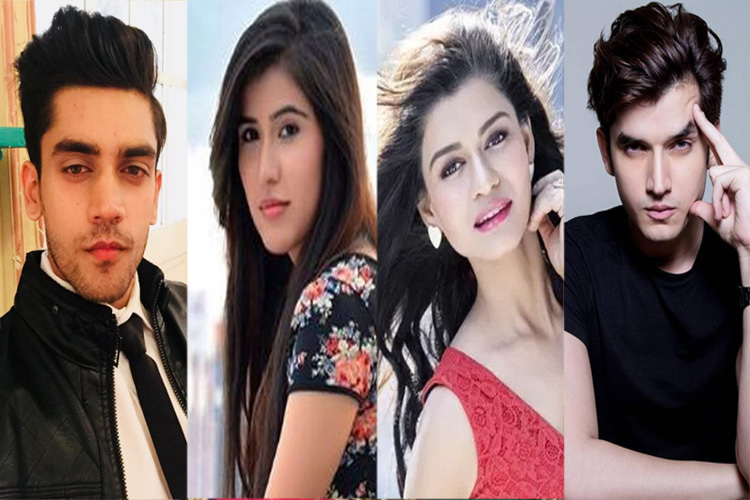 Well recently we reported that in the upcoming episodes of Laut Aao Trisha (24 Frames Production) Kushan (Ayaz Khan) will try to kill Trisha (Nalini Negi), and now the exclusive info from our side is that a similar kind of track will be seen in Ajeeb Dastaan Hai Yeh (Balaji Telefilms) too. Our sources revealed that Sarika (Vivana Singh), who was Vikram’s ex-girlfriend, will pose that she has been victimized to domestic violence and her husband Abhay (Vicky Thawani) is abusive in nature. In an attempt to free herself from Abhay she will try to kill him, but her true intentions will be something else. “Sarika was in love with Vikram (Apurva Agnihotri), but left him due to his poor financial condition and married Abhay. Now Abhay’s business is at a loss and in an attempt to leave him Sarika will first pretend to be a victim of marital violence and then finally in a desperate attempt will try to kill her husband”, said one of our sources. Vivana Singh, who is essaying the role of Sarika, was shocked at first after she heard about the development of her character in this direction. But, the spirited lady decided to portray her role convincingly and hence did a bit of research for her role, source further shared. We tried reaching Vivana for a comment but she remained unavailable. This particular episode will go air next week. We will keep our readers updated once we receive any further information.